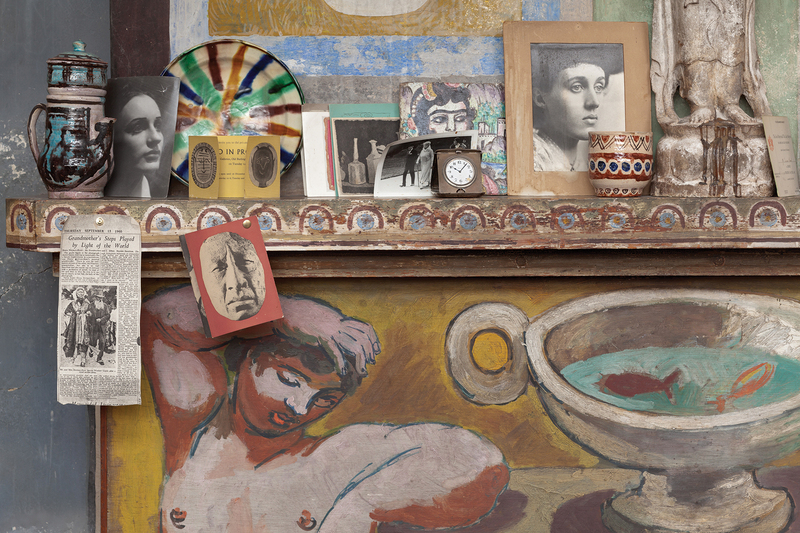 As you visit Charleston, home to the Bloomsbury group of artists, you cannot fail to be captivated by the extraordinary collection of art and the intimacy of this house and its stories. This week I am delighted to be returning to Charleston once more, to see it through the eyes of author Virginia Nicholson. Virginia has warm memories of happy summer holidays spent with her grandmother, Vanessa Bell, and Duncan Grant at Charleston. Virginia describes how as a child visiting Charleston on holiday, she found it such a warm, freeing and welcoming place to be. “At Charleston you did art,” she says. 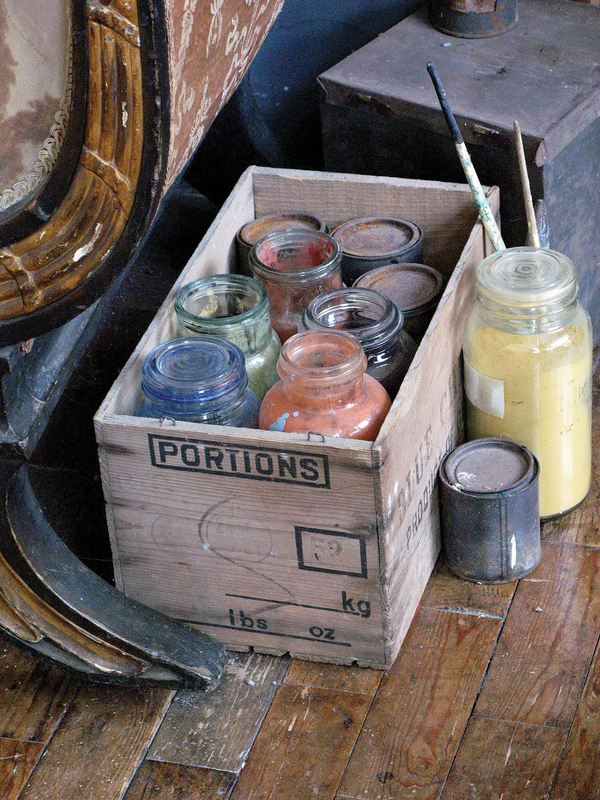 “You engaged in the act of creation – messy was good – it was virtuous to create.” Virginia has only distant memories of her grandmother, the well-known artist Vanessa Bell. 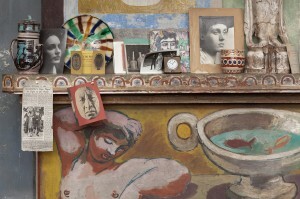 Her recollections of Vanessa’s lifelong love, Duncan Grant, however, are much more vivid. “There was something of the child in Duncan – innocent, open and benign – he always thought the best. He had an energy and appetite for life.” These playful, boyish qualities were expressed in games of charades and he was even known to dress up as a cow with coathangers for horns. “As children we were paid sixpence an hour to pose to be painted by Vanessa and Duncan,” Virginia explains. “Sometimes we got the fidgets!” There were just seven years between Duncan’s death and the opening of the house to the public in 1986. The house still has the evocative smells of books and turpentine, which Virginia describes as memories from her childhood. There is a tangible sense of continuity at Charleston, as though Vanessa or Duncan might appear in a doorway or the studio. The house was cold, without even running hot water, when Vanessa and Duncan arrived in 1916. They set about creating an aesthetic whole. Here was a unified work of art, created by bringing together paintings, furniture, objects, ceramics and books. Charleston remains the most complete example of Bloomsbury group sensibilities, a piece of art out of time, set permanently in the 1950s. It is art to be inhabited, not something to be viewed with dispassion through the separation of time. Duncan Grant, David Garnett, Vanessa, her husband, Clive, and the children, Julian, Quentin and Angelica, all lived at Charleston and were often joined by visitors. Charleston provided refuge for artists, writers and intellectuals during a tempestuous century, marked by the Great Depression and two world wars. Visitors included the writers T.S. Elliot, E.M. Forster and Lytton Strachey, the composer Benjamin Britten and his friend and muse, the tenor Peter Pears, as well the influential economist John Maynard Keynes. Keynes visited Charleston so often that he was given his own room. Roger Fry founded the Omega Workshops in 1913. Famous as an art critic, artist and organiser of the influential London Post-Impressionist exhibitions of 1910 and 1912, Fry was also regularly to be found at Charleston and contributed to the design of the house and garden. Together they represent an extraordinary generation. Virginia concludes, “They questioned: how do we live our lives; what do we do; what do we seek? The house speaks eloquently of this. It is liberating and freeing.” It has always seemed to me important to remain questioning. At Charleston they lived out their lives being creative and inquisitive, rather than being content with the superficialities that today’s culture encourages. With the August Bank Holiday approaching, treat yourselves to a summer holiday visit to the house and garden of Charleston, just across the border in East Sussex. Experience the lives of the artists, writers and intellectuals who lived, visited and were blessed by this most eloquent of houses. Virginia Nicholson has inherited the creative gifts of her forebears and works as an established and highly regarded author. Charleston a Bloomsbury house and garden, written by Virginia Nicholson with her father Quentin Bell, gives a very personal view of the lives and art of those who lived and visited Charleston and is lavishly illustrated. Her book Among the Bohemians – Experiments in Living 1900-1939 adds depth and insight into the lives and work of a generation of eccentric and free-spirited artists. Both are favourites of mine and are available from the Charleston shop, prices £18.99 and £10.99. For opening times and more information, go to www.charleston.org.uk/whats-on or telephone 01323 811626.You may be certain of a warm welcome as Charleston gathers you, as she has gathered generations of visitors before you. By Revd. Rupert Toovey. Originally published on 21st August 2013 in the West Sussex Gazette. Rupert Toovey recently launched www.oxfordconferences.org offering Continuing Professional Development Conferences to the Art and Antiques Professional. The 2013 Conference follows on from the success of the inaugural conference last year and is exclusive to members of the trade. The Art and Antique CPD Conference will be held on the 13th and 14th September, further information on this year’s event can be found here. Bookings can be made online. 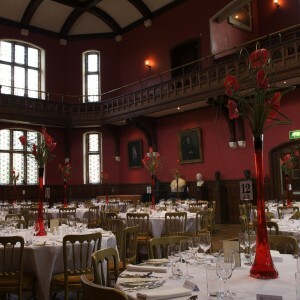 Private individuals or members of other related trades may have the opportunity of attending future conferences so it is recommended to sign up to their newsletter on www.oxfordconferences.org for future updates. Alternatively you can follow them on Twitter or Facebook. This weekend marks the beginning of the Arundel Gallery Trail, which opens on Saturday 17th August 2013 at 12.00noon. It combines the delights of discovering art from more than 100 established and emerging artists in many of the historic houses and gardens of Arundel not normally open to the public. These homes provide the perfect setting for this annual selling exhibition and celebration of Sussex as a centre of art. The Arundel Gallery Trail is now in its 25th year. Founded by Arundel artist Derek Davis (1926-2008), Renee Bodimeade, Ann Sutton and Oliver Hawkins, the event is an essential part of the Sussex art calendar. Josse Davis has played an active role in the Arundel Gallery Trail over many years and will be exhibiting his pottery again this year. The son of ceramicist and painter Derek Davis and the painter Ruth Davis, he works from his home town of Arundel. His affection for Arundel is clear. 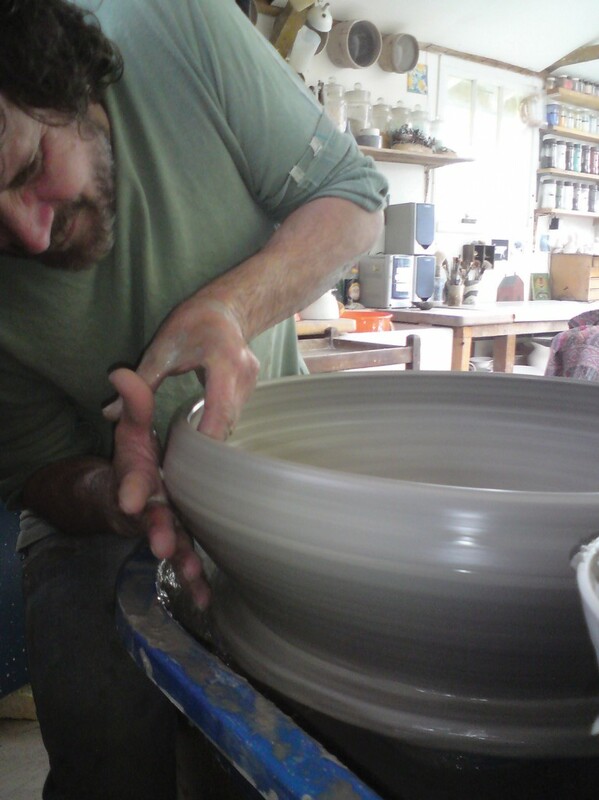 Asked if he plans to stay put, he answers wryly, “I am reluctant to move now I have a kiln or two.” Having grown up happily in Arundel and inspired by his parents, Josse is very grounded in the town. “Potters don’t move often… kilns don’t budge easily,” he continues with a smile. ‘Salad I (The excuse me)’, thrown stoneware bowl by Josse Davis. This wit is expressed in his work and its titles, like the bowl ‘Salad I (The excuse me)’ illustrated here, which clearly shows the influence of his father’s work. Josse describes his decoration as being “divided into two distinct styles: the spontaneous and the disciplined”. “As a confident draughtsman,” he says, “my designs are figurative and often described as traditionally English in approach.” His work is, though, a contemporary take on this tradition. Susie’s view of the world is practical as well as abstracted. Together with her daughter-in-law, Beatriz Huezo, she founded the charity ‘Art for Life’, holding art auctions in conjunction with other Arundel Gallery Trail artists. My brother Nicholas and I have been privileged to work with Susie on this project, which has raised money for the homeless and children in El Salvador in Central America. Houses, a community clinic and a school for children in poverty are part of the fruits of this collaboration of artists. Susie Jenkins’ work, both as an artist and for charity, deserves to be celebrated. It always interests me that when we set off on our own in life, we invariably end up going round and round in ever decreasing circles. But when we bring our gifts together with the gifts of others and share them in a common and generous purpose, exceptional things happen. This collaborative spirit is deeply ingrained in the Arundel Gallery Trail and Arundel Festival, which celebrate community as well as the arts. ‘Event Horizon’, colour photograph by Susie Jenkins, © the artist 2006. The 2013 Arundel Gallery Trail will take place between Saturday 17th August and Bank Holiday Monday 26th August alongside fireworks, Shakespeare at Arundel Castle and many other Arundel Festival events. The Arundel Gallery Trail is open 12.00noon to 5.30pm on weekends and Bank Holiday Monday, and 2.00pm to 5.30pm on weekdays. It provides an exciting opportunity to enjoy and buy art from leading Sussex artists. For more information on this year’s exhibiting artists and where you can see their work, go to www.arundelgallerytrail.co.uk. The whole town becomes a gallery – you really must go! By Revd. Rupert Toovey. Originally published on 14th August 2013 in the West Sussex Gazette. A Chelsea porcelain hexagonal teapot and cover, circa 1750-1755, decorated in the Kakiemon palette. European collectors of Asian porcelain from the 18th century to today have celebrated the technically and artistically superb production of Japan. Amongst the most influential styles is Kakiemon, produced from the late 17th century onwards. Kakiemon porcelain is typically lightly decorated with asymmetrical patterns, usually depicting landscapes or flowers; the delicate painting is of high quality. Whilst there is a consensus that the Kakiemon style was produced at numerous kilns, it is the famous milky-white ‘nigoshide’ body, produced at the Nangawara kiln in Arita, which is particularly revered by connoisseurs. These qualities are emphasised by the near-colourless glaze. Kakiemon is named after Sakaida Kakiemon, an almost mythical figure in Japanese porcelain history, to whom this polychrome enamelled decoration is first attributed. 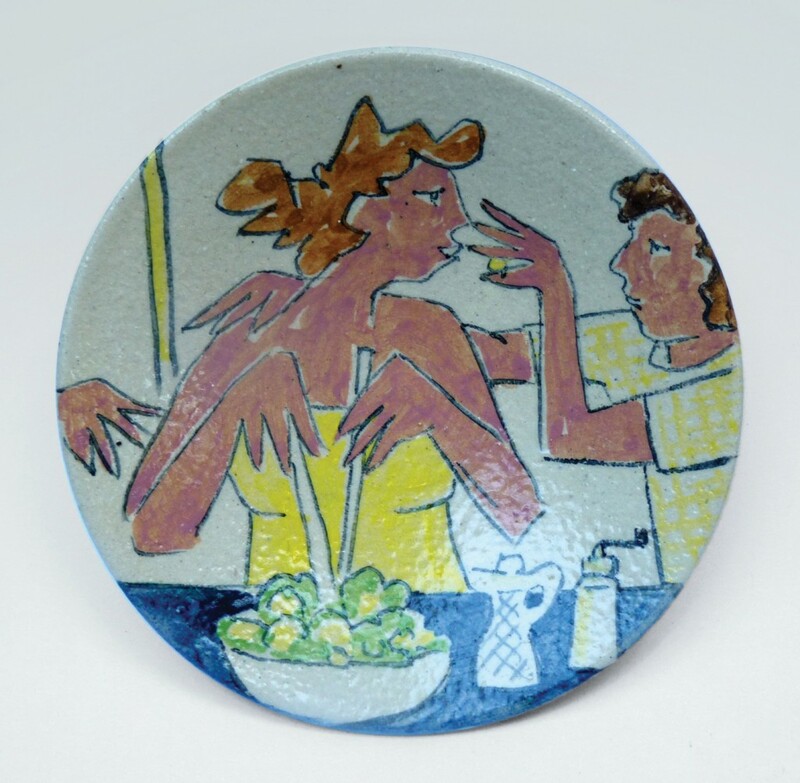 This skill in enamelling is illustrated in the way that the body is never decorated with underglaze blue. Though rarely imitated in China, Kakiemon was a great inspiration to porcelain manufacturers in France, Germany and England. From the 1720s and throughout the 1730s, copies of Japanese Kakiemon achieved popularity in Continental Europe and England. Meissen examples were inspired by the Asian ceramics collection of Augustus II, Elector of Saxony and King of Poland. In 1717 Augustus acquired a small palace on the bank of the Elbe River in Dresden. It became known as the ‘Japanese Palace’ and was home to his extensive collection of Oriental ceramics, which included some 20,000 objects. Rooms on the second floor were reserved for examples from the Meissen factory, which he founded by royal decree in 1710. Although not completed during Augustus’ lifetime, the Japanese Palace remains one of the outstanding artistic achievements of the 18th century. A Meissen porcelain circular saucer dish from the Japanese Palace, circa 1730, painted in the Kakiemon style. A pair of Japanese porcelain dishes, late 18th/ early19th century, painted in the Kakiemon style. The Meissen porcelain circular saucer dish illustrated dates from 1730 and was originally from the Japanese Palace. It is painted in the Kakiemon style with a gilt-enriched, iron-red tiger opposite flowering bamboo. The base is marked with crossed swords in underglaze blue and an incised and painted Japanese Palace inventory number, ‘N=ZZ5. W’. Measuring just 21.2cm in diameter and with a minor chip to the rim, the dish realised £5800 at auction in Sussex at a Toovey’s specialist sale of Continental ceramics. At the Chelsea porcelain factory in England, the Kakiemon taste of 17th century Japanese porcelain was also notable from the early 1750s. 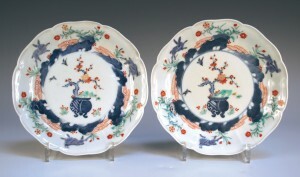 In this instance, however, the influence was derived from Meissen. 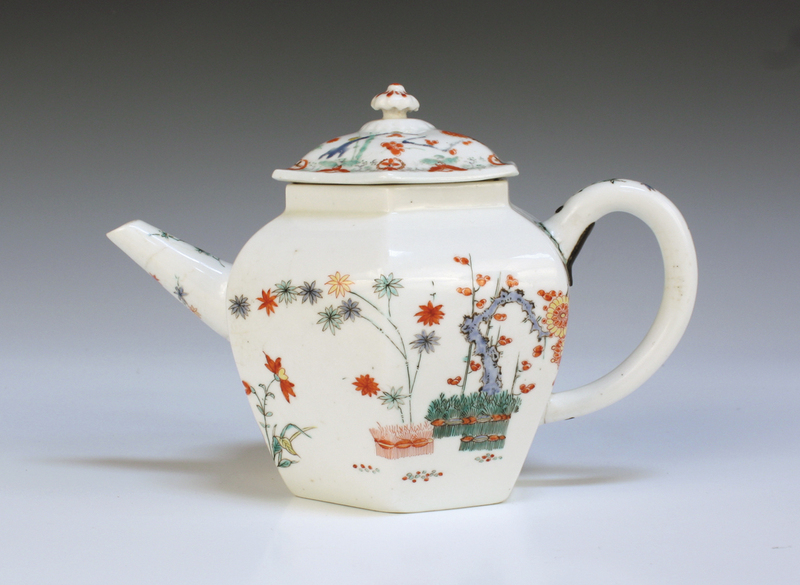 Chelsea’s Kakiemon pieces were characteristically octagonal in form, like the porcelain teapot and cover shown, circa 1750-1755. Note how the body is decorated in the Kakiemon palette with an asymmetrical design of blossoming prunus, bamboo and banded hedge, the reverse with a ho-o bird in flight. This example was unmarked and had restoration to the spout and metal reinforcement to the handle. Nevertheless, it realised £2200 in my recent specialist auction. Perhaps surprisingly, late 18th and early 19th century examples of Japanese Kakiemon, like the pair of plates illustrated, can be acquired much more reasonably. Today, a pair of plates like this would carry an auction estimate of £300-500, though the finest examples are valued in the thousands. Kakiemon porcelain, whether Japanese, Continental or English, has for over four centuries provided an articulation of beauty through its restrained depictions of flowers and exquisite use of polychrome enamels. Its style resonates with our contemporary taste and, whilst prices continue to rise, it still represents great value and opportunities for the collector. 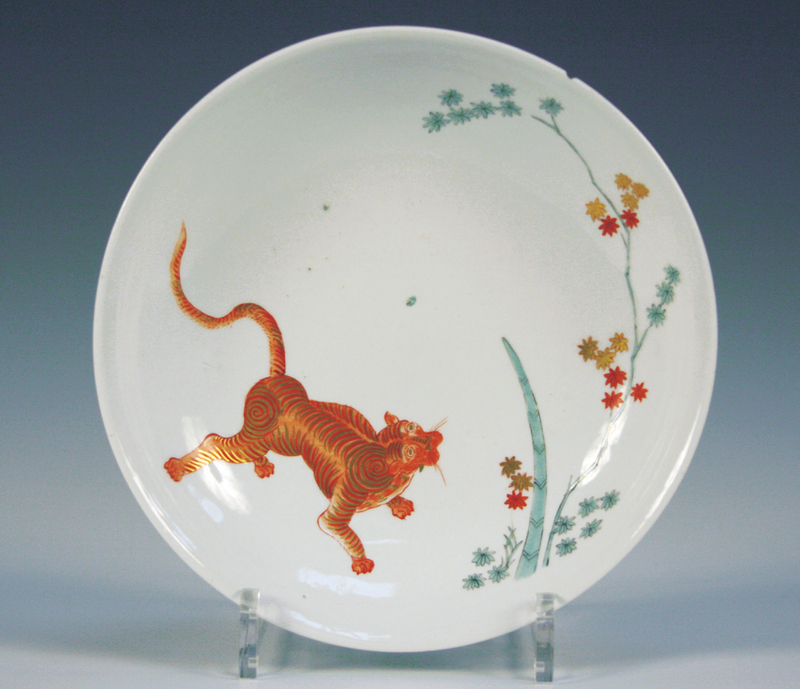 Toovey’s next specialist auctions of British and Continental porcelain and Oriental ceramics and works of art will be held on the 12th September and 10th October 2013. By Revd. Rupert Toovey. Originally published on 7th August 2013 in the West Sussex Gazette. Eduardo Paolozzi, “Real Gold”, 1949, printed papers on paper, Tate, presented by the artist 1995 © The Trustees of the Eduardo Paolozzi Foundation. An exhibition of the important British artist Eduardo Paolozzi (1924-2005) has just opened at Pallant House Gallery in Chichester. Its title, “Collaging Culture”, captures the centrality of collage in inspiring and directing the artist’s work across disciplines. But it is the extraordinary breadth of art from the artist’s oeuvre which impresses and provides such insight into his work and times. Paolozzi’s sculptures, printmaking, textiles, ceramics and film are all represented. 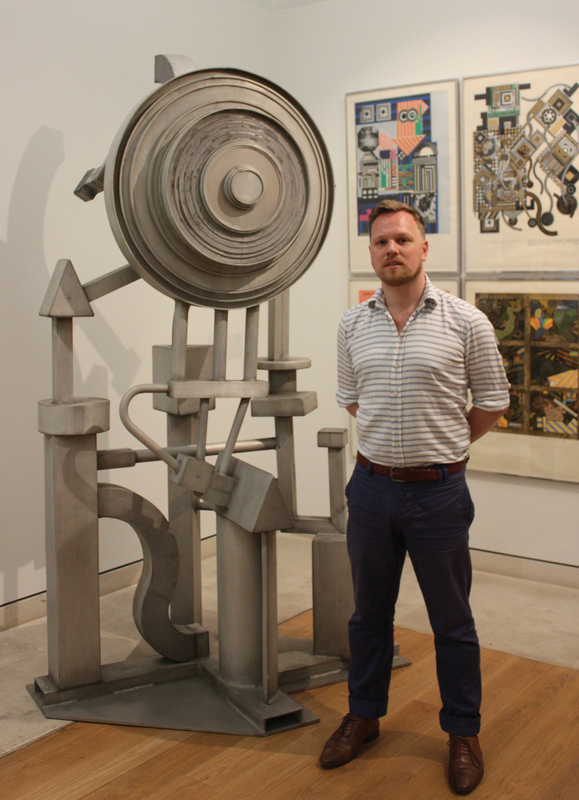 Simon Martin, Head of Collections and Exhibitions at Pallant House Gallery, with Eduardo Paolozzi’s “Artificial Sun”, circa 1964. Eduardo Paolozzi always located his work within a surrealist context. He claimed to have embraced “the iconography of the New World”. 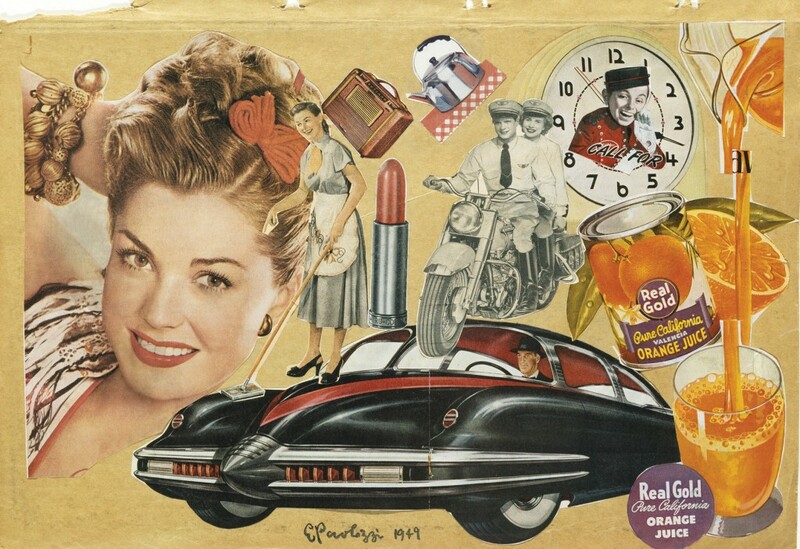 “The American magazine,” he said, “represented a catalogue of an exotic society, bountiful and generous, where the event of selling tinned pears was transformed in multi-coloured dreams.” This fascination with American culture is clearly expressed in his collage “Real Gold” from 1949, illustrated here. Disparate images jostle for the viewer’s attention – a futuristic car, a glamorous woman, tinned orange juice, a couple on a motorbike – and yet in this disunity a narrative for post-war American culture is expressed with a clear artistic voice. Paolozzi acknowledged that defacing an image, erasing and destroying its original context was a metaphor for the creative process itself. 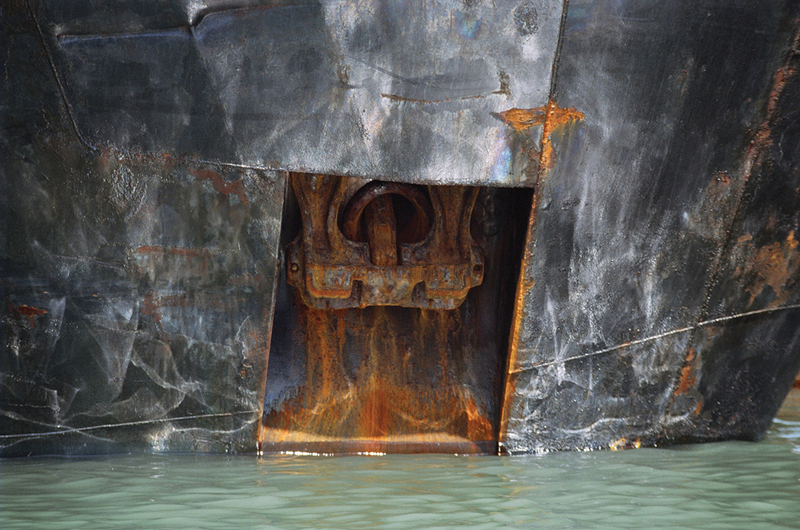 For him, raw materials equated with raw images. Simon Martin, Head of Collections and Exhibitions at Pallant House Gallery, explains, “In order to understand Paolozzi and the different aspects of the way he works, not just the sculptures but the prints, textiles and ceramics, you have to recognize the fact that his approach to collage connects all of this.” Paolozzi, the son of two Italian immigrants, worked at the family confectionery shop in the Scottish port of Leith. From an early age he collected cigarette cards and images in scrap albums, many of which he used in later work. 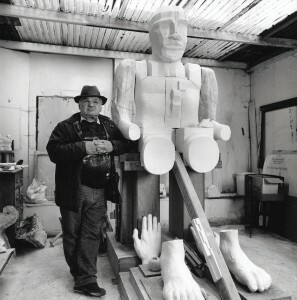 Together with fellow sculptors William Turnbull and Geoffrey Clarke (whose work is represented at Chichester Cathedral and on the chapel of the Bishop Otter campus at the University of Chichester), Paolozzi was inspired by Picasso and Matisse and rebelled against the teaching at the Slade School of Fine Art. A near sell-out exhibition in 1947 at the Mayor Gallery allowed the artist to leave the Slade and go to Paris. There he met and befriended Isabel Lambert. Lambert, herself an artist engaged in drawing figures from the ballet, had modelled for and briefly lived with Alberto Giacometti. It was she who introduced the two artists. The influence of Giacometti is visible in Paolozzi’s sculptures at this time. Portrait of Sir Eduardo Paolozzi, 2000, © The Trustees of the Eduardo Paolozzi Foundation. Giacometti provided another rich seam of influence when he introduced Paolozzi to the French existentialist philosopher, writer and political activist Jean-Paul Sartre. Existentialist philosophers disagreed about much but shared the belief that philosophical thinking includes the active, feeling, living human individual and not just the thinking person. Paolozzi’s work was included in the groundbreaking exhibition at the 1952 Venice Biennale of existentialist sculpture in the British Pavilion, alongside sculptors like Kenneth Armitage, Reg Butler, Lynn Chadwick, Geoffrey Clarke and William Turnbull. In the 1950s Paolozzi was a key member of the Independent Group, which was bound up with the Institute of Contemporary Art. Alongside his cultural icons and totems, the resilience and fragility of the human person and the influence of humankind’s relationship with technology, expressed through the culture of science fiction and robots, also recur as themes in Paolozzi’s work. 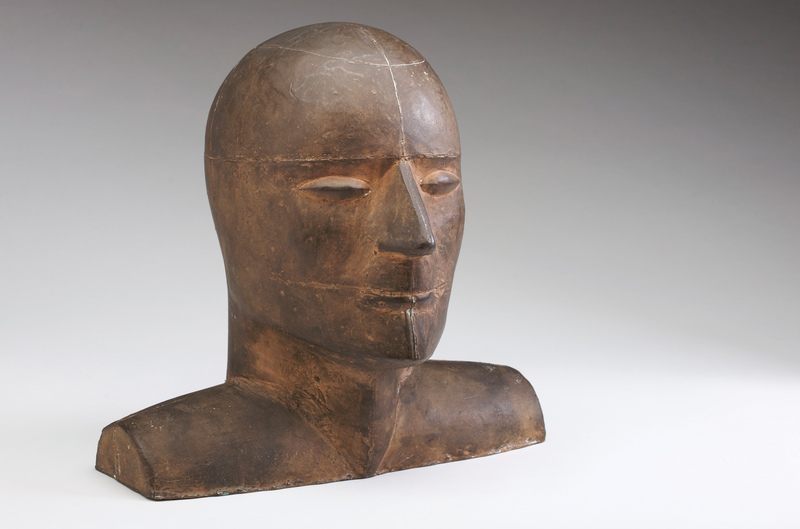 Eduardo Paolozzi, Mr Cruikshank, 1950, Bronze with a brown patina, The Ingram collection of Modern and Contemporary British Art © The Trustees of the Eduardo Paolozzi Foundation. A number of British sculptors in the 1960s, like Eduardo Paolozzi and Hubert Dalwood, made work in aluminium. A more contemporary material than bronze, it reflected something of the age of invention and technology in which they lived. Paolozzi said of the large form “Artificial Sun”, circa 1964, that his aim had been to “get away from the idea in sculpture of trying to make a Thing – in a way, going beyond the Thing, and trying to make a presence”. This artificial sun in prefabricated aluminium reflects the artist’s delight in language games. Beside the sculpture in the exhibition is a colour screenprint of the same title from the series “As is When”. Paolozzi produced this series as a reflection on the work of Austrian philosopher Ludwig Wittgenstein. Wittgenstein believed that a single proposition could stem from many more complex propositions – something which resonates with Paolozzi’s collage technique. 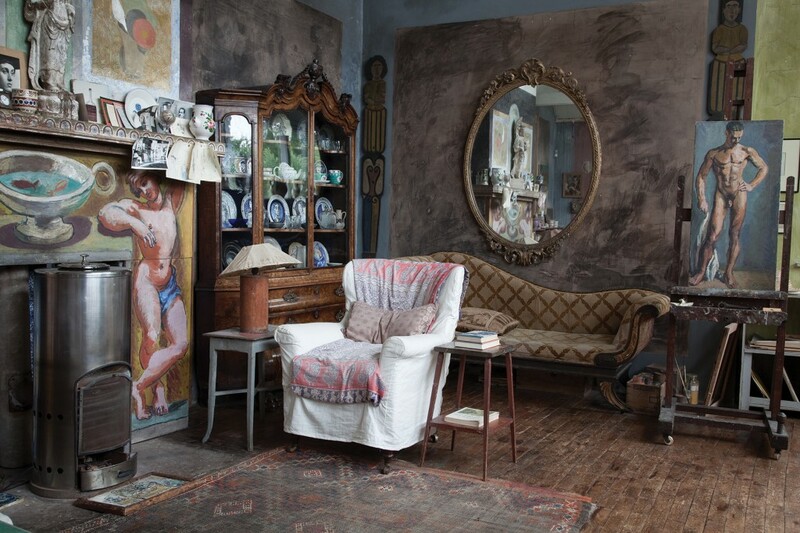 As a fine art auctioneer in Sussex, I have spent some twenty-nine years journeying with people and sharing the stories of their lives, told through their possessions. I have often reflected that the most precious objects in our lives are those that allow us to tell these stories – the prompts to fond memories. I refer to them as the “patchwork quilts” of our lives. 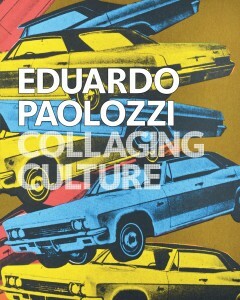 Simon Martin responds, quoting Paolozzi, “All human experience is one big collage,” and he is right. Our human journeys reflect our strengths and our weaknesses, our hopes and our fears, and our joys and our sorrows – layered, at once disparate and united, like a collage – the resilience and fragility of humanity. Simon Martin has once again produced an exemplary show, which affirms Eduardo Paolozzi’s reputation and place amongst Britain’s leading post-war artists. It is filled with what Simon refers to as “the witty juxtaposition of disparate images”. I hope it will capture and delight your imaginations as it has mine. This revealing and significant exhibition provides a unique insight into this important British artist of the cold-war era and runs until 13th October 2013. 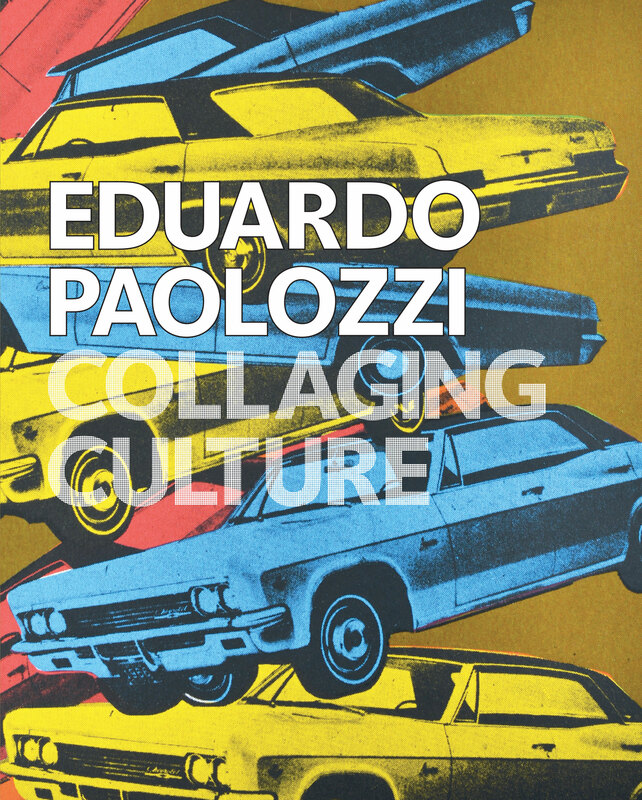 The exhibition catalogue, published by Pallant House Gallery and written by Simon Martin, is a must – elucidating on Paolozzi, his work and times. It is available at the Pallant House Bookshop, price £24.95 (special exhibition price £19.95, when visiting the exhibition). For more information and opening times, go to www.pallant.org.uk or telephone 01243 774557. By Revd. Rupert Toovey. Originally published on 31st July 2013 in the West Sussex Gazette.